Yaro Starak, the man behind Entrepreneurs-Journey.com and the Blog Mastermind Program, has done it again. 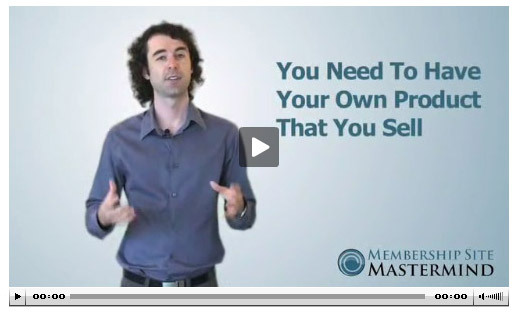 Today, Yaro launched his Membership Mastermind program that helps beginning and expert membership website owners make more money from their sites. Yaro shows how he earned over 200 thousand dollars traveling the world while running and maintaining his membership site. Having gone through Yaro’s Blog Mastermind program, I can assure you that every site owner at all stages can benefit from a program from Yaro like this one. I just turned the order page on and you can sign up to my six week intensive training program, Membership Site Mastermind, right here, right now. I’m leaving the doors open for one week, then I’m closing and I’ll begin running the weekly live coaching calls and working with the students as they go through the modules. I haven’t told anyone about this yet, so this is a particularly special bonus. Later this year, in July, I’m doing something I’ve never done before – I’m teaching an entire live event focused just on my materials. The title of the seminar is “How To Live The Two-Hour Work Day“. I’ll be presenting my entire formula for living the ideal lifestyle where you can work a few hours a day and live comfortably with the freedom to do what you want when you want. I’ll be teaching everything I’ve done to realize this lifestyle, including how I’ve bought and sold websites to make over $180,000 part time, my success principles to grow a profitable blog and how to make big money with membership sites. This is the first time I’ve ever done a live workshop and depending how it goes, it might be the last, because I don’t want to commit to too much work (proof that I really do value freedom over money). Every person who joins Membership Site Mastermind within the next 24 hours will receive one double-pass for two people to attend my live event, valued at $1,997. The event will be held in Brisbane Australia, my home city. If you can’t make the trip down under to attend the event in person, you will receive access to the live recordings of the event online. I recommend you book a trip to Australia, you can visit the beaches after you fill your brain with ideas at my event. It has never been cheaper to fly, so it’s a great time to travel. What’s Inside Membership Site Mastermind? I’m not going to explain what’s in my program here as I have a detailed info page and video that breaks down everything. Yes it is a long sales page, but if you don’t want to read it, either scan the parts that interest you, or watch the video at the top, which explains everything in detail (and you will learn a thing or two as well!). You have precisely one week to join my program and that’s it. Once the doors close it won’t be open to the public again for many months. If you’re ready to go after the best online business model there is and launch your own successful membership site, you need to take this course, it’s the best way to get started quickly. I can’t wait to start working with you to help you launch your membership site and guide you to that dream goal – $10,000 a month from your own membership site. I’ll speak to you on the inside.